1st & 3rd Tuesdays: Open Studio - Students create at will and socialize with other home scholars. 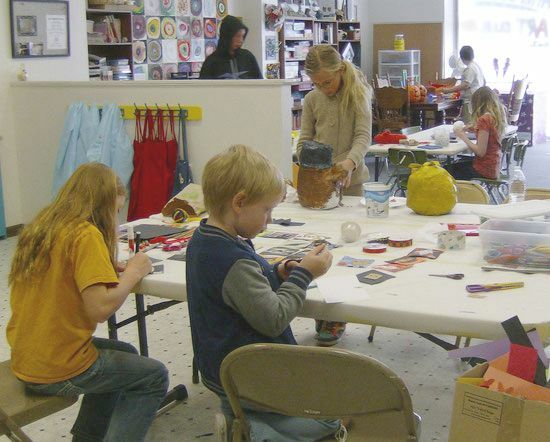 2nd & 4th Tuesdays: Art Class - Students receive art instruction and complete an art project such as a painting, drawing lesson, collage, mixed media art, or other prepared art lesson project. Any unfinished work can be finished at home or at the next Open Studio meeting. Attending students are expected to participate in the planned project. Cost: $15.00 per class. 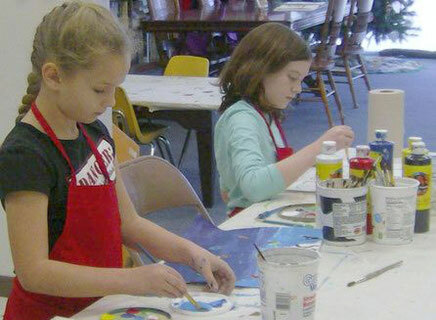 Sibling discounts are available for HSAC Art Classes. Please contact us to request a discount or for more information. Home schoolers must be registered in advance. Please contact us if you would like more information about HSAC. To register your child(ren), please download, print, and complete the HSAC Registration Form below. MakerSpace meeting. Kids find their own 'work space' in which to develop their individual creative ideas and projects.